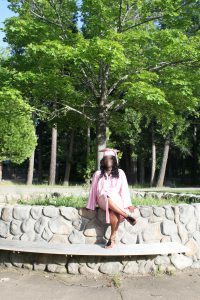 The following is the testimony of one of the girls who recently graduated with us. We are extremely proud of her and very excited for her future! “When I was in the 9th grade I went to the top high school in Detroit. I had a full ride swim scholarship to Michigan State, but in my 10th grade year I started getting into a lot of drugs and not focusing on school, just basically threw my entire life away. By my 11th grade year I basically stopped attending school and my grades suffered. Once I saw how far behind I was, I fell, I gave up. I was in the streets everyday. I would be gone for months at a time. I never knew the extent of damage I was doing to myself at the time, But I didn’t know what else to do. One day I got sick of my cycle and I wanted to change. My mom found [Together Freedom] for me and I felt safe over the phone with Mrs. ***** and Mrs. ***** so I decided to come. At the time, I had no idea how much this program would change my life. I’m graduating High school now and going to college. These are two things I never thought I would do. I didn’t think I would finish High school, I didn’t think that was in the cards for me. *Names have been removed for the protection and security of our staff and students.